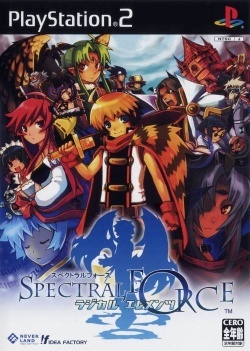 Game description: Spectral Force: Radical Elements is an installment of the popular simulation RPG series. This time the story takes place in a small kingdom called Orutaded, 400 years before the first Neverland great wars. You play the role of the king of Orutaded named Tonaty, who is on a journey to seek helps from the allied kingdom Milria, to battle against the invading kingdom Rafarm. During battles, you can experience a large-scale combat of 1000 vs 1000 soldiers in the battle field. After completing a battle, you can collect elements, which can be used to create new troops, buildings and new technologies. This page was last edited on 16 April 2019, at 09:39.